Small shields dangle from sterling silver hoops with these small round hoop drop earrings from the John Hardy Dot collection. 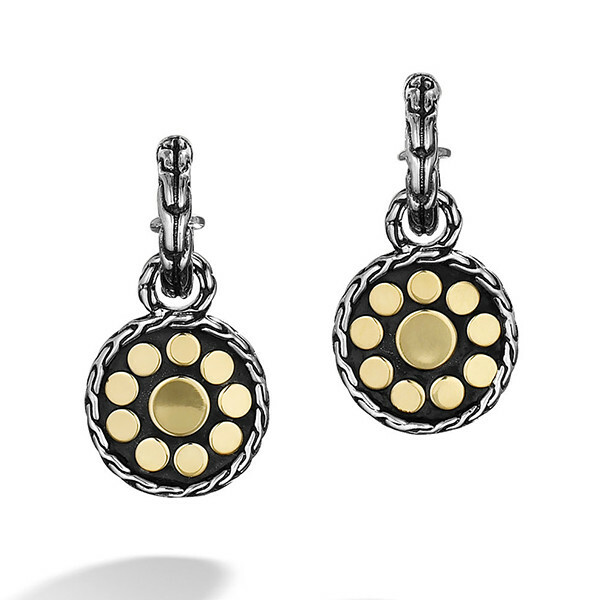 Small 18kt gold dots surround a large 18kt gold dot and are emblazoned onto darkened sterling silver. A ribbon of sterling silver with darkened details weaves its way around this design adding depth to these earrings. These John Hardy earrings will put glamour into your wardrobe!